Üsküdar University President Prof. Nevzat Tarhan received 2019 Golden Axon Leadership Award by Brain Mapping Foundation. 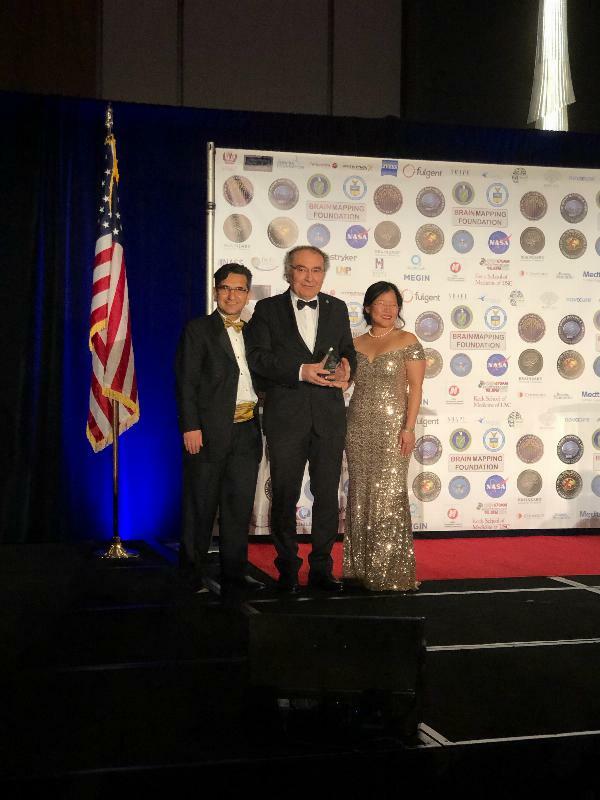 Prof. Nevzat Tarhan is the only Turkish individual to receive among the Leadership awards in Los Angeles. Same award was presented to 2018 Nobel Prize Winner American Neuropsychiatrist Eric Kandel. More than 800 scientists from all over the world gathered at the annual World Brain Mapping Congress organized by the US-based Brain Mapping Foundation. 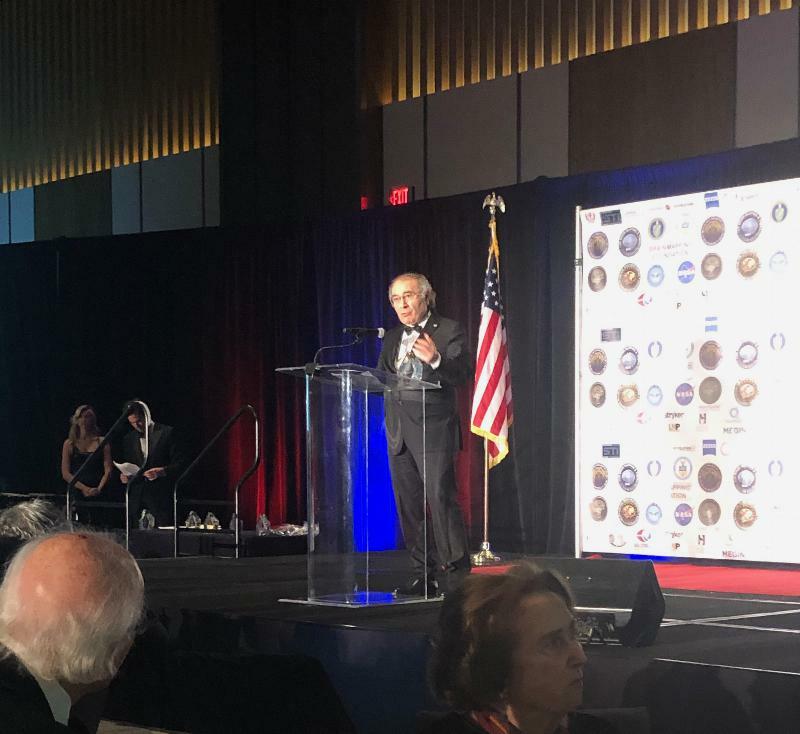 Within the scope of the 2019 World Brain Mapping Congress held at the Los Angeles Convention Center; Humanitarian Aid Award, Pioneer in Medicine Award, Pioneer in Technology Development and Golden Axon Leadership Award were presented. 2019 Golden Axon Leadership Awards are presented to Üsküdar University President Prof. Nevzat Tarhan, Dr. Jeff Wang, Harry Kloor, Actor, Director and Producer Sean Stone due to strategic programs, creating awareness about the foundation and its mission through global collaborations and partnerships. Dr. Deepak Chopra is the recipient of the 2019 Humanitarian award for his global humanitarian and philanthropic work. Dr. Katrin Amunts is the recipient of the Pioneer in Medicine award for her role as scientific director of the European Human Brain Project and for developing a 3D atlas of the human brain. California Senator Kamala Harris is the recipient of the Pioneer in Healthcare Policy award for her legislation in support for healthcare and medical research and the Pioneer in Technology Development Award is presented to The French Muscular Dystrophy (AFM) Telethon for their tireless effort in introducing lifesaving drugs, which have saved thousands of lives of patients with muscular dystrophy. Prof. Nevzat Tarhan Is the only Turkish individual to receive the leadership award. Same award was presented to 2018 Nobel Prize Winner American Neuropsychiatrist Eric Kandel. The Brain Mapping Foundation brings together scientists, physicians and engineers from many different disciplines. In addition, the care and treatment of civilians and wounded soldiers with neurological disorders are always at the forefront of the activities. In this context, life-saving multidisciplinary clinical trials are also carried out. This organization gives awards to individuals who are leaders and pioneers in their fields as well as philanthropists each year.